Let's just say Hamilton has paid his dues toward a bigger receiver role. ENGLEWOOD – In his previous game at Cincinnati, rookie DaeSean Hamilton led all Broncos receivers by playing in 47, or 80 percent, of his team’s offensive snaps. Yet, Hamilton not only had zero catches, he had zero targets from those 47 snaps. He blocked on running plays and he was open at least twice on pass plays. But not once did quarterback Case Keenum throw the ball his way. Let’s just say Hamilton has paid his dues toward a bigger receiver role. “That was a tough game for a flanker,'' said Broncos offensive coordinator Bill Musgrave. "He had to go in there and block their safety Shawn Williams time and time again. He came over to the sideline a couple times like, ‘Do WE HAVEANY OTHER PLAYS? Do we have any that I might see the ball in the air, besides me being our sixth o-lineman?’ Which is what he was in the game. Keenum has no choice but to look Hamilton’s way come Sunday at San Francisco after the Broncos’ No. 1 receiver, Emmanuel Sanders, tore his left Achilles in practice Wednesday. 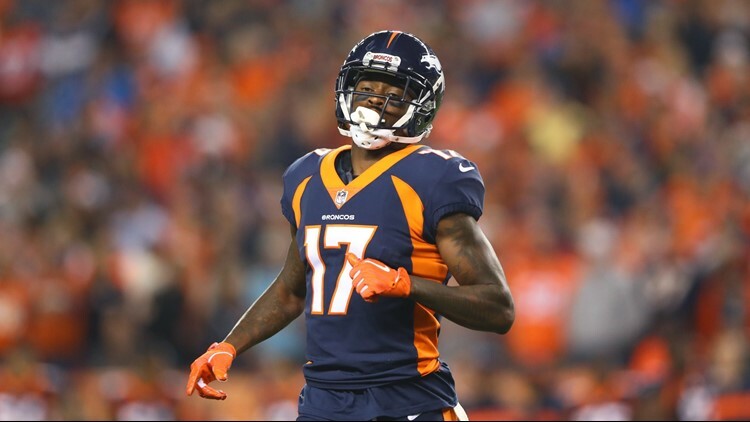 With Demaryius Thomas traded away five weeks ago and Sanders now finished for the season, the Broncos’ top two receivers are the rookie duo of Courtland Sutton and Hamilton, with Tim Patrick the new No. 3. Hamilton is a starter even though he has just 5 catches for 61 yards on the season, and he missed two games with an MCL strain. Now he must draw his quarterback’s eyes. Keenum says he trusts Hamilton. But he didn’t show it in the previous game. Keenum dismissed a question about his relationship with Hamilton with his typical dry humor, saying they are still in the dutch-treat stage. “We’re not there yet,’’ Keenum said, smiling. “We’re still building. We still ask for separate checks. Maybe pretty soon, we’ll start paying for each other. “No, he’s a great kid and he works his absolute tail off. Last week, he didn’t catch a ball. But you saw how we motioned him down there and he’s sticking his nose in there to block those safeties from last week. Whatever we’ve asked him to do, he’s done it. Not just as a pass catcher, which he’s really, really good at.